Do we really want to take these people's advice on what 'we' should do now in Iraq? Up to a million people have been killed since the illegal invasion and as critics predicted at the time, the war led to enormous chaos and instability and boosted radical Islamic extremism. By their own words, let the warmongers be damned. You can read the whole of my piece from RT.com on the things that the warmongers said, here. Last year it was game, set and match to our Intelligent Punter’s Guide to Wimbledon when we recommended bets on the men’s singles winner Andy Murray at 4-1 and identified Sabine Lisicki, the 80-1 shot who reached the women’s final, as one of the best outsiders in the tournament. Who are the ace tips this year? 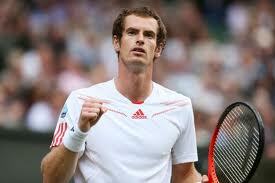 You can read the whole of my Intelligent Punter's Guide to Wimbledon 2014, here. Above you can watch the latest interview with me on RT. You can read the whole of my new RT OpEdge comment piece on Tony Blair's serial warmongering and his attempts to rewrite history, here. Off to a flying start on the first day- you can read the latest IP Guide on how to beat the bookies here. On the subject of horse racing, my piece on the 'mating game'- the lucrative business of breeding racehorses, is in today's Daily Express. You can read it here. The 20th World Cup is upon us. The football World Cup is not only a great festival of sport – it also provides us with a snapshot of the world at the time the tournament takes place, and tells us much about the global political situation. We can't – even if we’d like to – take politics out of sport, as sport does not exist in a vacuum. Forty years ago for instance, in 1974, 16 countries participated in the World Cup held in a country (West Germany) which today doesn't officially exist. Two other competing countries – Yugoslavia and East Germany – don't exist either. And the only African country taking part, the Democratic Republic of the Congo, was Zaire not too long ago. The World Cup finally kicks off at 9pm UK time on Thursday 12 June when the hosts, Brazil, take on Croatia. So, who should you be putting your money on to win the final on Sunday 13 July? You can read my team-by-team guide to the 2014 World Cup here. My new piece over at RT.com OpEdge on the future of Europe's monarchies. The Epsom Derby, the most famous race in the British flat racing calendar, worth £782,314 to the winner, takes place at 4pm on Saturday. The annual contest for three-year-olds, run over one mile and four furlongs, has been won down the years by such illustrious names as Hyperion, Mill Reef and the ill-fated wonder-horse Shergar, who trounced his rivals by a record ten lengths back in 1981. There are 16 runners to choose from. What should the intelligent punter be looking for? You can read the whole of my new piece for RT.com OpEdge on the European elections, here.